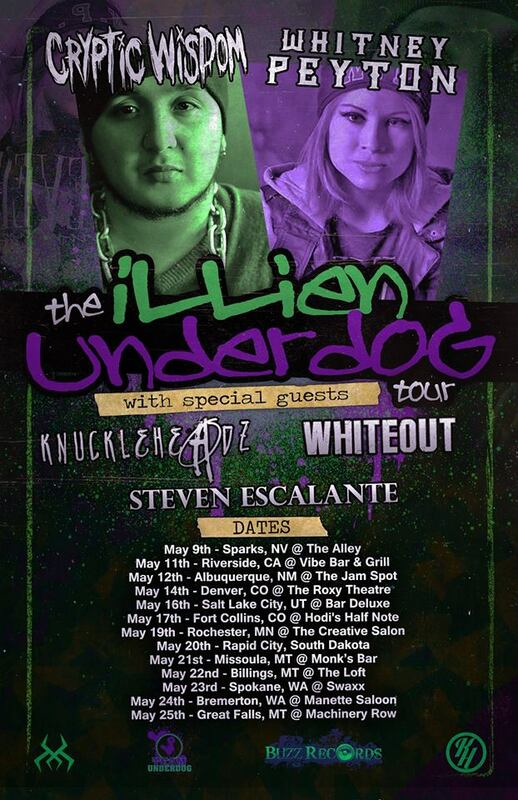 Cryptic Wisdom and Whitney Peyton have just kicked off their “iLLien Underdog Tour.” This tour also features Whiteout, the Knuckleheadz and Steven Escalante on the drums. The “iLLien Underdog” tour will conclude on May 25th in Great Falls, MT. Cyyptic Wisdom has a new limited edition “Fan Favorites” album exclusively available on this tour. You can view a full list of tour dates and see the “Fan Favorites” album art and tracklist below.